Leaving Lawrence, Kansas for my holiday vacation to go home to New York, I thought I’d escape the college basketball discussion being all about the Jayhawks. Alas, as soon as I turn my back, KU’s loss to the Temple Owls becomes the topic of discussion nationwide. However, when you look at it, the Owls “upset” isn’t as shocking as you’d think. Temple has some skilled upperclassmen and showed the balance of eight players contributing. 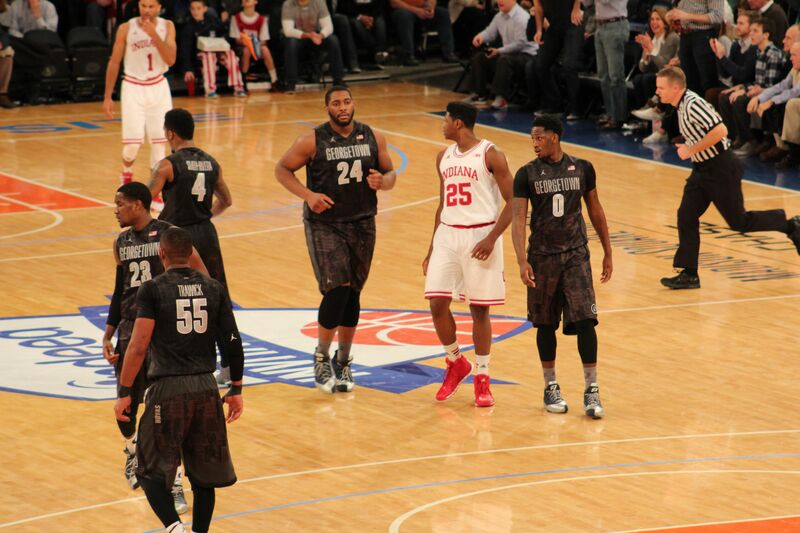 The Owls only losses this year are all respectable: Saint Joseph’s, Villanova, Duke, and UNLV. Kansas, meanwhile, continues its identity crisis of who will become the lead scorer. 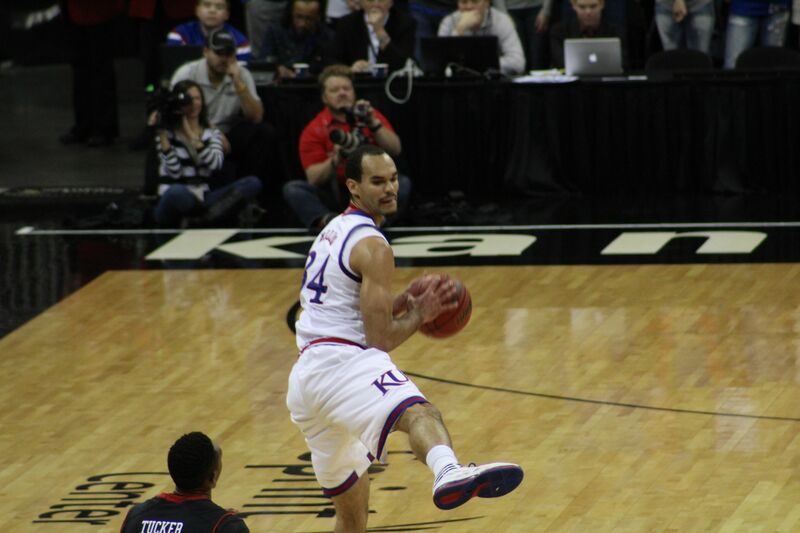 Wayne Selden, Jr. and Perry Ellis went a combined 3-18 from the field. 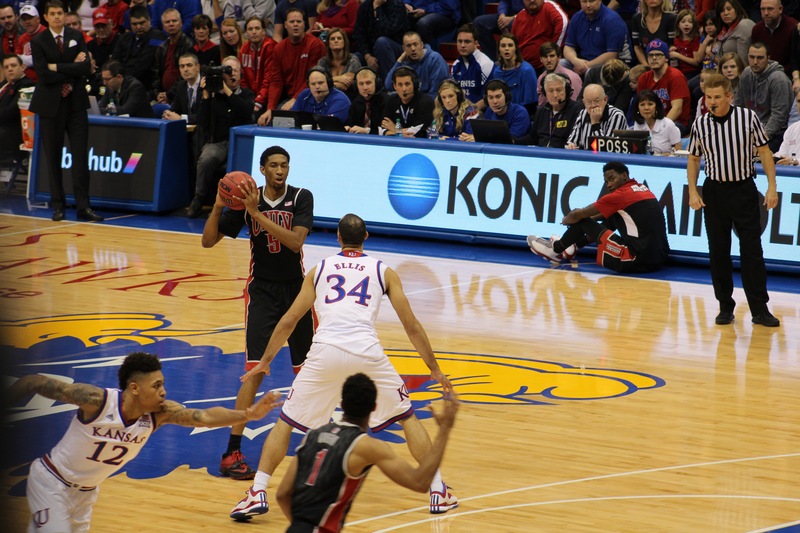 Point guard Frank Mason, Jr. played all 40 minutes as the loss of Devonte Graham continues to pose a challenge. 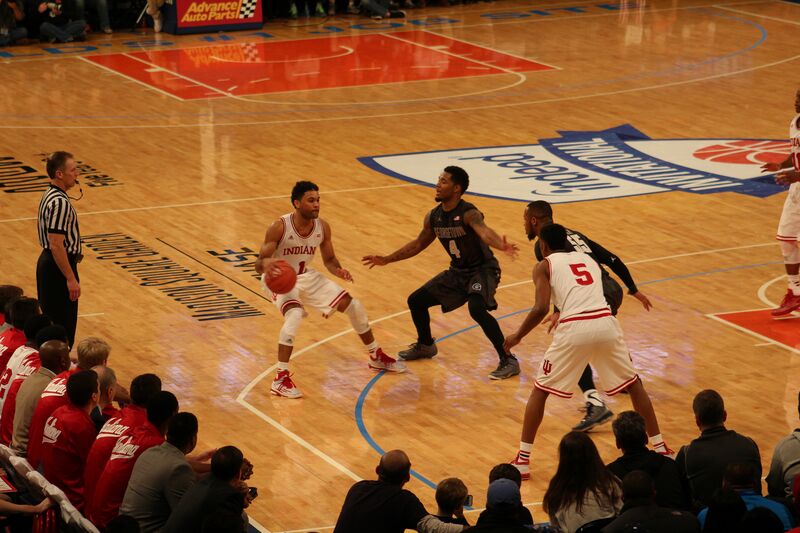 The game I really look forward to seeing in-person is Georgetown and Indiana on Saturday at Madison Square Garden. I’ll post another vlog of my observations. Going in, I’m interested to witness Georgetown’s supporting cast. I know all about Smith-Rivera, Josh Smith, and Jabril Trawick. 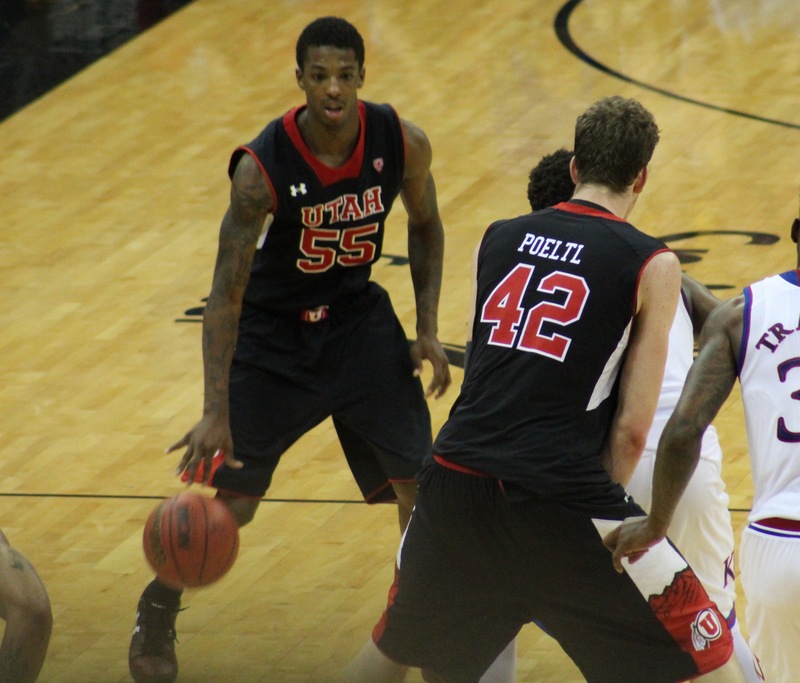 I’m interested to see who can matchup defensively against Troy Williams and Yogi Ferrell. 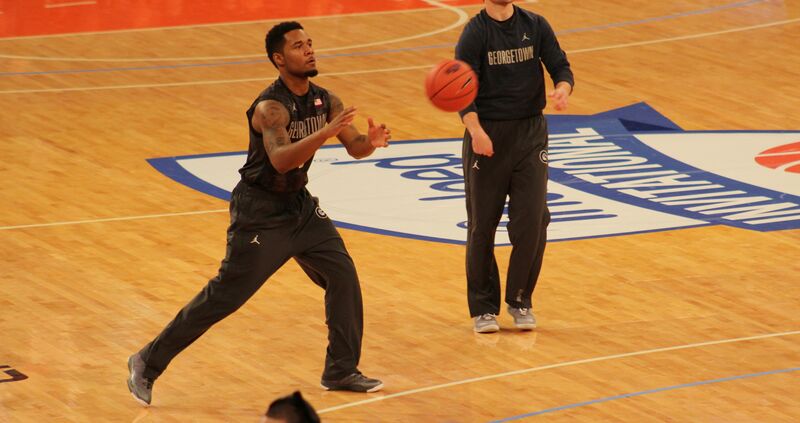 Smith-Rivera scored 29 in the Hoyas toughest matchup to date against the Wisconsin Badgers. I think the Princeton-style offense calls for more balance and I’d like to see what the fourth, fifth and sixth scoring options look like. Tuesday night is another bubblicious matchup. Colorado versus George Washington is the type of game that could separate a tournament team from an NIT team. When you watch this game, check out George Washington’s junior swingman Patricio Garino. The Argentinian not only leads the Colonials in scoring, but leads a very aggressive unit on the defensive end. George Washington fluctuates between a tough man defense and a one-three-one zone. For Colorado, I am encouraged to see Askia Booker scoring 21.2 on average in the month of December. The senior from Los Angeles started the season scoring 9.4 in November. As much as Josh Scott has improved on the offensive end over his career, Booker has one of the nation’s smoothest strokes and should get at least 14 shots per game. After this game, both teams soon begin conference play. For Colorado, that means immediate contests against UCLA, Arizona and Utah. Therefore, the Buffaloes could benefit by a strong out-of-conference win before possibly dropping some in conference. Both Colorado and George Washington stand at a 7-3 record now. A win Tuesday would also be huge for George Washington. The Colonials have less brownie points to earn in conference. Some of the best teams at this point include Dayton, VCU, and Davidson right now. Scope out this game and tweet me what you think. Follow @CBBEyeTest. 11-4 on the season against the spread. No, I’m not a greasy cigar-smoking wise guy giving “free advice” in a Sin City lobby. I’m a guy who watches college basketball games from start to finish and maybe checks out the stats afterwards. I predict outcomes every Saturday. It’d be easy to say that Kentucky would beat UCLA, so I use the odds to challenge my knowledge. I started exposing what I thought of as “suspect spreads” three Saturdays ago. I advised gamblers to take Green Bay, a nine point underdog, and they won the game outright against Miami. I posted a 4-1 record on that first week of predictions. I was WAY off with my Florida State vs. Notre Dame guess. Note to self: I have to check out the Irish in earnest the next time they play a top 100 opponent. Florida State got walloped, but I still went 3-2 on this second week. In my third and most recent week, I rocked out a 4-1 record. I was trying to carry momentum on a struggling Missouri program. However, they played Illinois tough. Still, folks around Kansas City and Missouri talk about first year coach Kim Anderson needing at least three years to get this program above water. Indiana and Butler was a tough call. 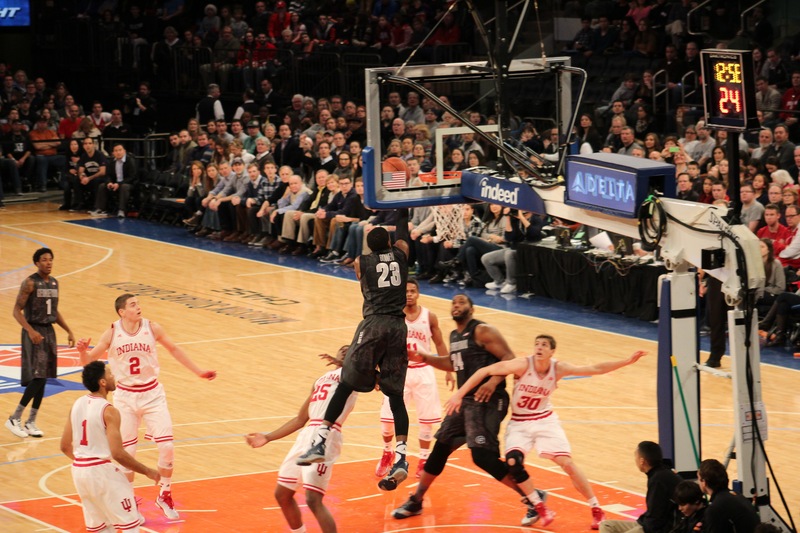 In the end, I didn’t feel Butler had the athletes to defend the rim. 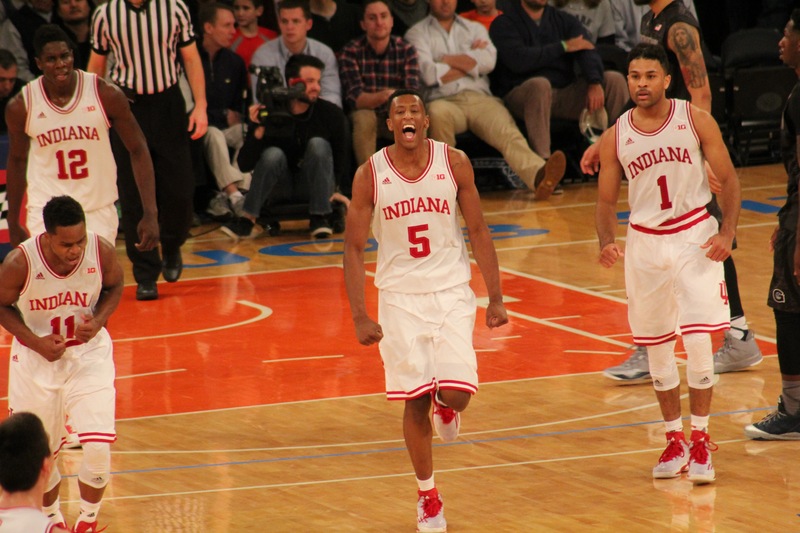 I wasn’t surprised to see Troy Williams score a season-high 22 points. Kentucky beating UCLA by 15 was a gimme in my mind. Syracuse got a recent scare at home against LA Tech, so I felt they’d play Villanova tough. Syracuse should have won this game. The Orange played seven players, if you don’t count Chinoso Obokoh’s one minute played, which I don’t for this exercise. I find it concerning that Syracuse’s best athletes continually play games while balancing foul trouble. Chris McCullough finished the overtime game with five fouls. 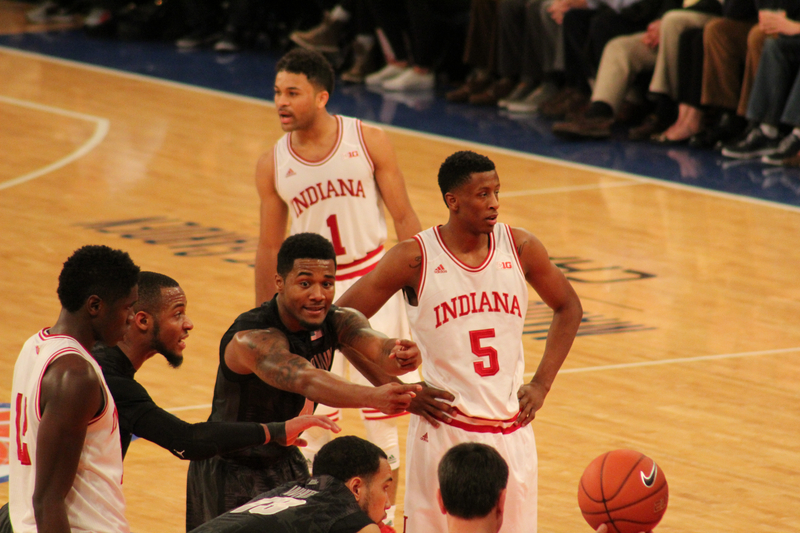 Rahkeem Christmas fouled out with moments left in regulation. Still, I envision Syracuse as a bubble team that gets into the tournament and of course scares any 6 or 7 seed due to that notorious zone and underclassmen with huge upside. For example, Kaleb Joseph hit some clutch shots in this contest. His confidence level is a narrative to watch closely, given the fact that he was recruited initially to backup Tyler Ennis. 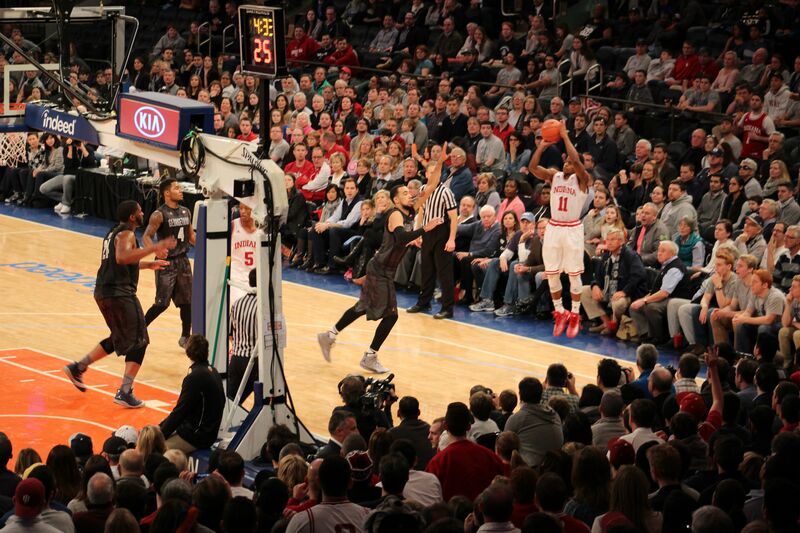 Up next, I’ll be at Madison Square Garden for the Indiana Hoosiers and Georgetown Hoyas. Thanks for watching this video and be sure to check out my next vlog!